Mindestaufenthalt 2 Nächte. Kein One Night Bookings akzeptiert. Bitte nicht anfragen. Erleben Sie die neuesten Luxus-Unterkünfte und Lebensstil im Herzen dieser malerischen, viktorianischen Küstenstadt. Eindrucksvolle Ansichten von Lorne, Loutitt Bay und dem Pier, alle Kompliment an diese herrliche Lage auf der Great Ocean Road. Dieses geräumige 22 Quadratmeter Architekten Stadthaus verfügt über große offene Decks, große Leben im Freien. Es ist ca. 200 Meter von der berühmten "Swing Bridge" von Lorne entfernt, Surfstrand und nur einen kurzen Spaziergang zu den Cafes und Geschäften. Mindestaufenthalt im Januar ist 7 Nächte. Kyllie was a brilliant guest. Winata was the prefect guest, in every way. I am glad she enjoyed the house, I would highly recommend her to any property owners. We couldn't have been more happy with our stay. 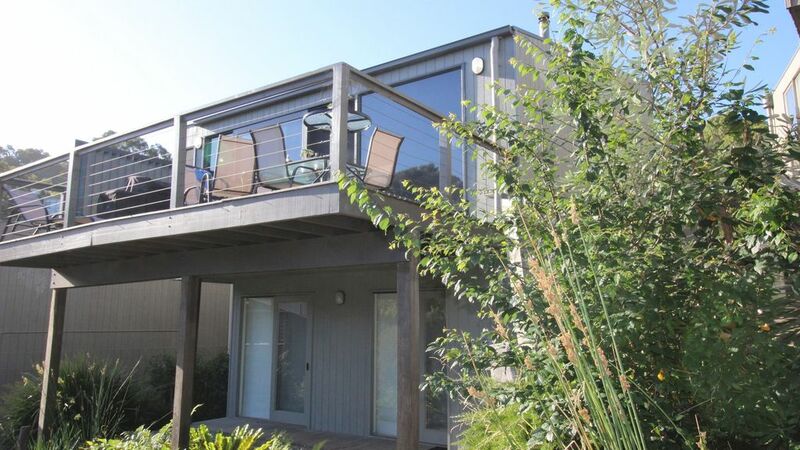 The location is great with only a short stroll up the hill from the supermarket & central Lorne. We could hear the ocean and see it over the rooftops. Short stroll (3min) down to famous 'hanging bridge' for a coffee in the morning. Lay out of house is excellent. Perfect for two families with two queen size bedrooms-modern, clean, inviting and on separate floors and a separate 'kids/teens' room with king single bunks (sleeping 4), flat screen w DVD player and 'poofs' for movie night. Comfy beds with plenty of pillows and quilts. Upstairs a fully equipped modern kitchen with everything you need (incl Nespresso machine) and a roomy, airy, light filled, modern lounge/dining area. We used the Webber BBQ too on the great decking balcony which also has a large outdoor table setting & sun lounge. We had visitors of Cockatoos every day-stunning! Plenty of space in the house. Great WiFi connection that allowed me to do some work. Massive flat screen in lounge room with a drawer full of DVD movies.Separate laundry and guests boogie boards. We will definitely book this property again. Great property. Walking distance to the beach. Really clean. Very neat and clean property. will definately go back again soon.